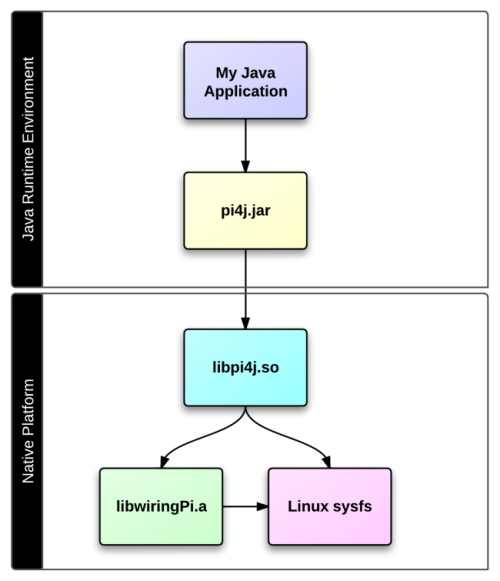 Pi4J implements a JNI wrapper of the WiringPi library developed by Gordon Henderson. Pi4J dynamically compiles against the WiringPi library so you must have Wiring Pi installed on your target system. WiringPi is included by default in the latest Raspbian builds.